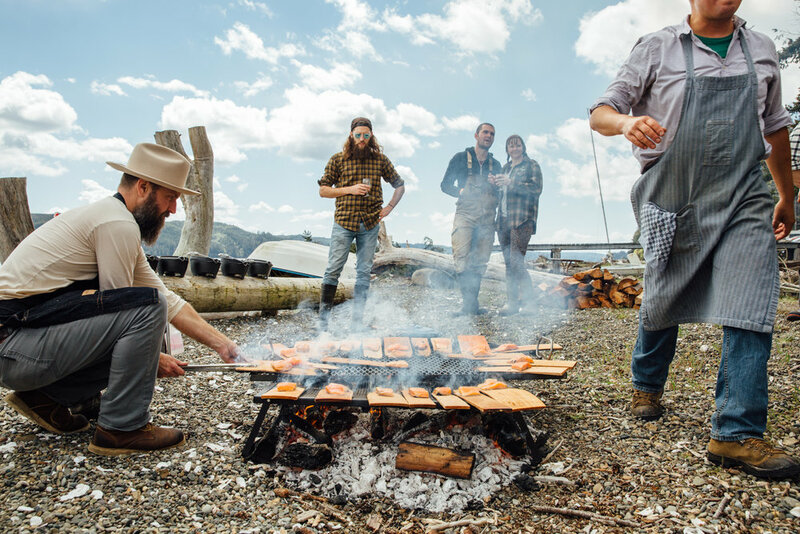 Hama Hama Oyster Co. on the Hood Canal in Washington is one hands down one of our favorite places on the planet. We’ll take any excuse to come hang out on the shore with them, but this is one of our favorites. For their 9th annual Oyster Rama, we’ll be offering a hands-on class exploring the fundamentals of open fire cooking. You’ll help cook a lunch of eclade de moules (mussels roasted over Douglas-fir boughs) and a cast iron seafood stew, to be enjoyed with wine from our friends at Cooper Mountain Winery, an organic and biodynamic family-run winery in the Willamette Valley. We’re sorry to say that this event is sold out, but please sign up for our newsletter as we’ll be announcing another exciting and oyster-y collaboration with them soon!